It’s been a little while since I’ve had a chance to write an article, so it was nice for Doug Huggler to give me a chance to test his shop’s new engine, as well as do a write up on it. One of the attractive things about racing a TAG class is the opportunity to race against different engine packages at the same time. I’ve had a few seasons experience owning a few TAG engines, like the X125T, X30 and PRD Fireball. So when I learned that PRD was introducing the Galaxy TAG engine to the US market, I couldn’t wait to get behind the wheel and get a feel for it myself! Doug Huggler from Huggler Racing Engines was able to set one up for me to have an evaluation day on it at PSGKA/Mountain Highway in Tacoma, WA. Huggler Racing Engines is the sole US importer and distributor for series of PRD engine packages. So I had one of the best people to provide me a good amount of information about the engine during the test. The first thing that caught my attention was the simplicity of the package. I had an opportunity to observe the installation of the Galaxy on the TopKart Twister chassis that I drove. It was a very straightforward affair, and easy to install. Items, such as a one piece exhaust were attractive from a maintenance perspective, and from an aesthetic one too. The Easy-Start ignition is a nice addition as well. Once we got to the track, and I pulled out of the pits, I immediately noticed the difference of power to Galaxy. 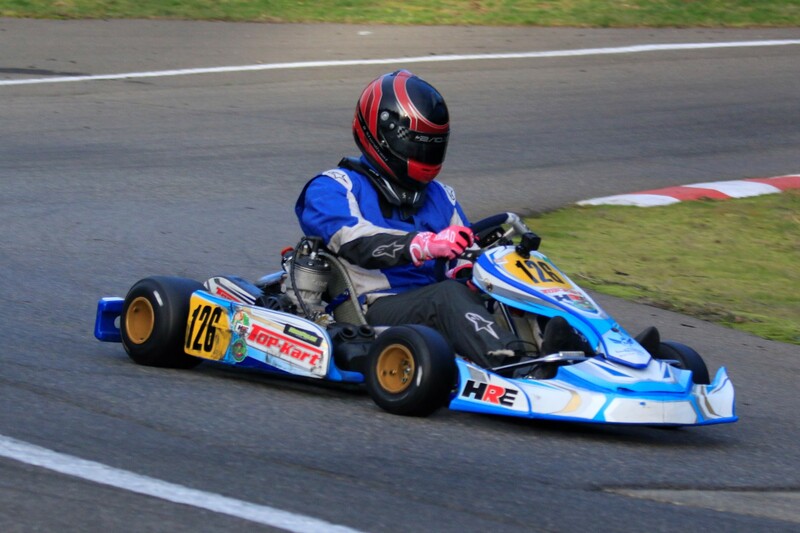 Compared to other engines that I’ve driven before, the power curve feels completely different to the X30 or Rotax. It never had a dip in acceleration at any point. The power valve allows to driver to adjust it to better suit the track, which is a real plus.The power band is also very linear. It doesn’t have that “kick” onto the pipe, which makes driveability a real plus, while not lacking in horsepower. This engine is proper fast! During the test day, I had the opportunity to run with other TAG engine packages at the same time. We found ourselves in some great battles pretty quickly, which makes this engine easy to race and competitive to those in the TAG class, such as the Rotax and the X125. The lap times were also very similar to what I’ve run in the X30 at the same track, before we really started adjusting the gearing. Throughout all of the sessions, I really was able to get a feel for the engine and could see this being a great engine for any driver, including beginners. 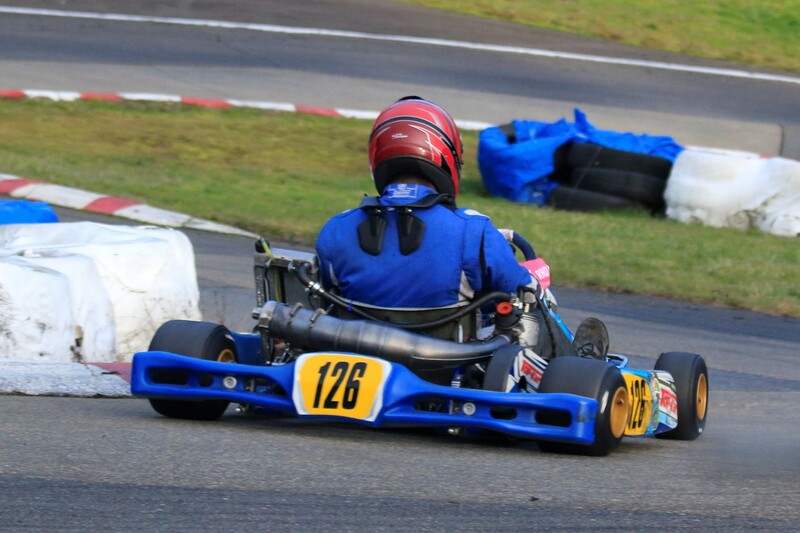 During the test day, we didn’t have to make many changes to the kart, other that tuning for the track. All I can say after experiencing the PRD Galaxy package is that it is a great engine that offers horsepower and reliability. 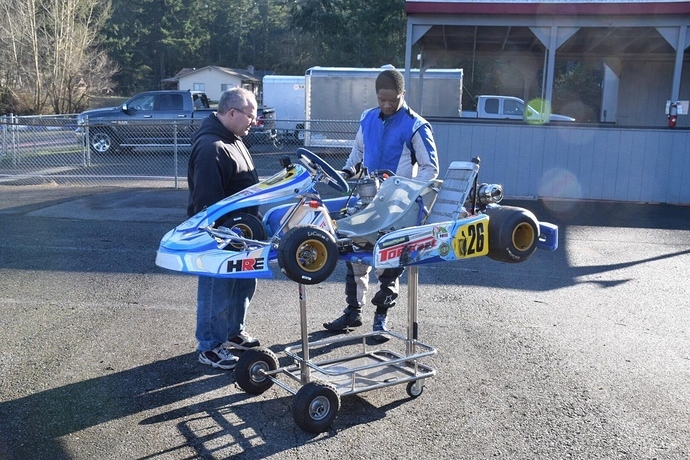 As a new entrant into TAG racing, it has a lot of great opportunities to be as competitive as other packages for club and regional competition, such as the NorthWest’s ICP Cup (TAG USA). Talking with Huggler, they are working to get the Galaxy to be homologated into several different organizations and series under TAG USA, WKA and IKF, so that the weighting is comparable to other popular sprint, and road racing offerings. That makes for an exciting new package that people can get into more easily, when looking to make the move into two-stroke. Whats the HP, rpm range, top and bottom end hourly life expectancy? Oh and price.? Link at the bottom of the article answers some of those questions, mate. Update from Huggler Racing: It’s 6 hours of run time for top end and 24 hours for bottom.